Yes, if you can hear me from the living room, I am laughing at the censored picture. OEMGEE that is the best thing ever. Laughing so I’m crying. Um, the other kid is cute too. Yeah, it’s all worth it, right? I like the colour coordination in the warm weather nap, too. 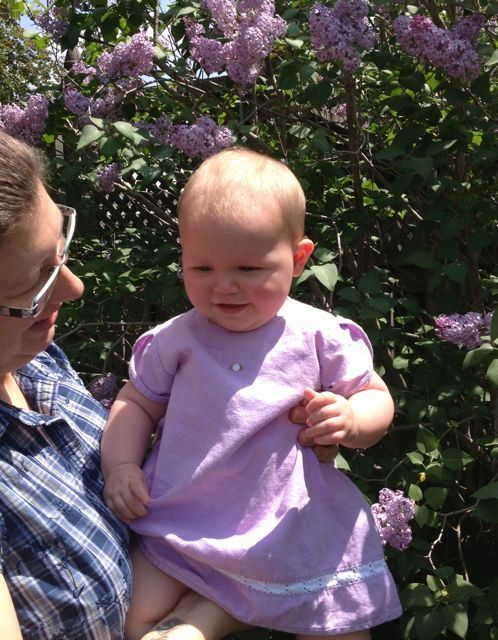 also, in the lilac-dress photos she looks like Auntie Beth to me. There is a resemblance. Fo sho. Awww. Both of you look beautiful. So happy! And that nap one is – yes – simply precious. And the hose one. Such a happy little hoser! 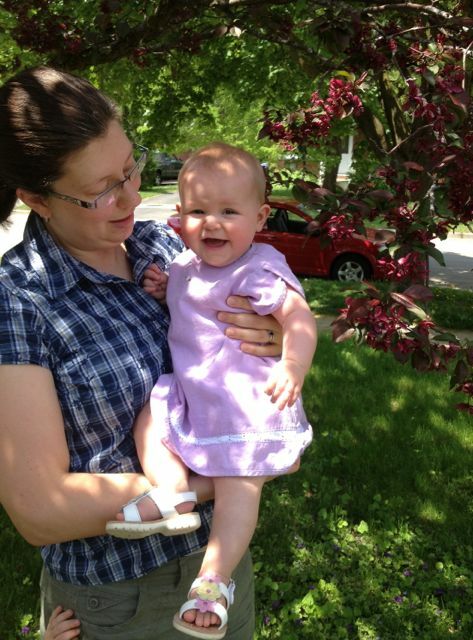 We think she looks like Baby Bethy. Haha – HOSER! Yer funny. I love you.